Dreamscapes Studio on Saturna ~ Lyall Harbour Bed & Breakfast, Saturna Island, British Columbia, Canada, A quality gulf island accommodation. 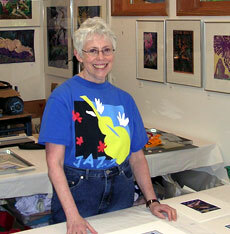 Dreamscapes studio represents the artwork of Donna Fay-Digance. 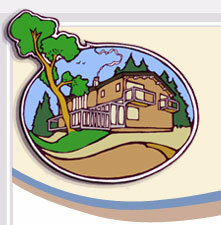 Be sure to check her studio out when you visit our Bed & Breakfast on Saturna Island. Donna would be pleased to give you a tour! Donna's multimedia approach uses a variety of fabrics combined with drawing, painting, batik, and textile dyeing. Many of her framed images are visually stunning, rich in texture and colour.